Some days, you just have to treat your body good. As a food blogger, I eat some gut busting, heart unfriendly meals. Fried pork belly this, carbo-rich that, and anything fried, laden with butter, sugar, and Nutella is the name of the game for a food blogger. Sometimes, you have to treat your body right. 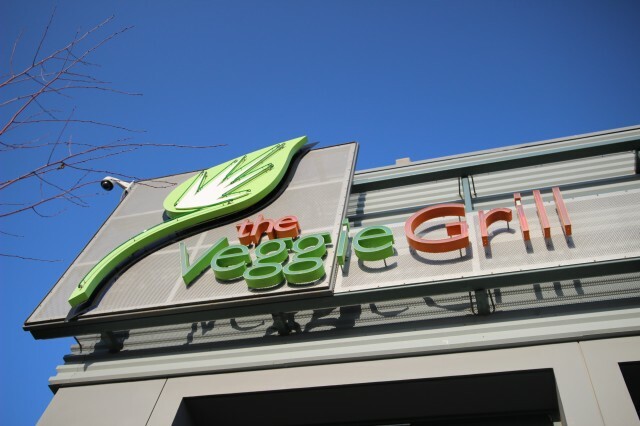 The Veggie Grill offers some awesome vegetarian dishes as well as salads. The extra needed healthy foods really regenerated my digestion and rejuvenated my body. For a moment, I thought to myself that I can eat like this every day. 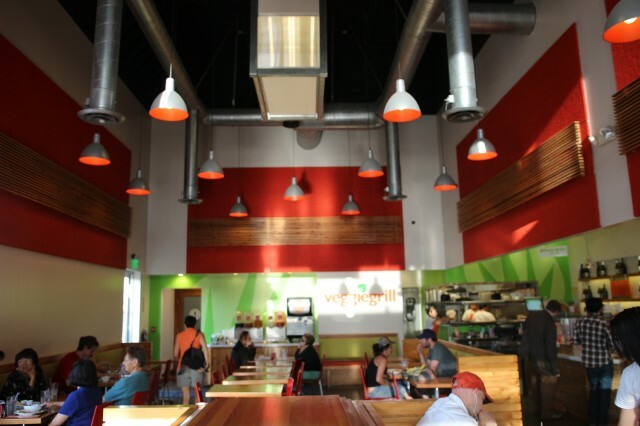 Eating healthy is important indeed, and The Veggie Grill makes it a little easier to handle. Kale has been a huge part of my healthy diet these days. Back in the day, it was only good for food decor, but now is considered a super healthy food. 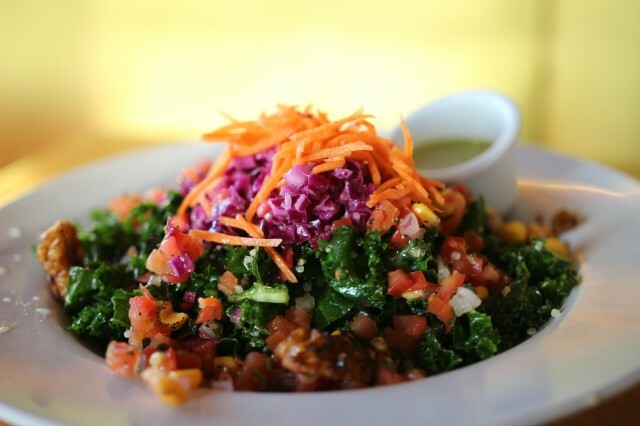 The All Hail Kale salad was wonderfully zesty and flavorful. It included marinated kale, quinoa, red cabbage slaw, corn salsa, and agave-roasted walnuts. I switched out the ginger papaya vinaigrette for the lemon vinaigrette. I am not a fan of sweet dressings at all. The lemon vinaigrette was fresh and the flavors popped. The bitter greens and the acidic flavors melded together to great a healthy dish. For some, there is no substitution for beef. At The Veggie Grill, substitution is the only option. As a natural carnivore myself, eating the boca protein “beef” in the All-American Stack burger was a shocker. I know it wasn’t meat, but it really tasted like beef. If someone had to make a meat substitute to be the closest thing to meat, this would be it. It just had the consistency just right and flavor. Topped on this gorgeous burger, it really didn’t feel like it was missing anything. 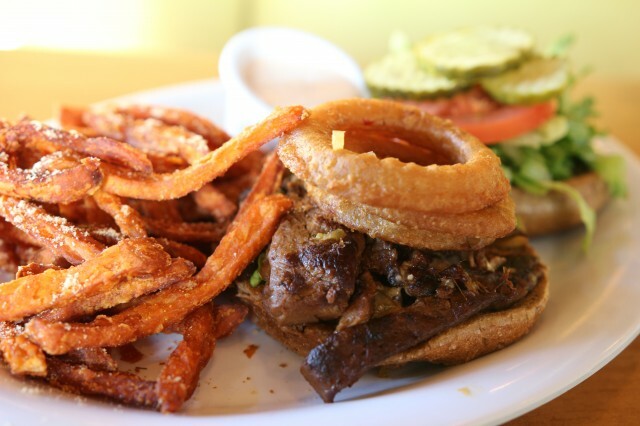 Topped with grilled veggie steak, pickles, lettuce, tomato, crispy onion rings, and thousand island dressing, the “burger” tasted quite like the real thing. With the addition of sweet potato fries, nothing was missing. I know having fried onion rings and fried sweet potato isn’t quite the healthy meal you were looking for, but come on. Compare that to a full on fatty beef patty, and this is quite healthy. The Veggie Grill is probably my go to healthy joint. 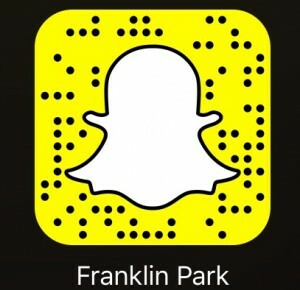 It has some great options for meat lovers like me. The salads are on point and always offers a fresh option for everyone. They even have protein style bowls and entree plates as well. This is indeed a perfect place for a vegetarian looking for some meat.